August 1, 2013—A team of neuroscientists has identified a protein in laboratory mice linked to impairments similar to those afflicted with Angelman syndrome (AS)—a condition associated with symptoms that include autism, intellectual disability, and motor abnormalities. "By isolating a protein that contributes to cognitive deficits in Angelman syndrome, these findings mark a step forward in not only addressing AS, but perhaps other developmental disorders as well," said Eric Klann, a professor in New York University's Center for Neural Science and one of the study's co-authors. The study's researchers also included: Shelly Buffington and Matthew Rasband of the Baylor College of Medicine; Jerry Lingrel of the Department of Molecular Genetics, Biochemistry, and Microbiology at the University of Cincinnati; and Hanoch Kaphzan, Akila Ramaraj, and Emanuela Santini of NYU's Center for Neural Science. Previous research has shown that AS model mice display brain dysfunctions that match neurological abnormalities observed in humans, including cognitive deficits such as long-term memory. A previous study by Klann and his colleagues pointed to a potential cause for the condition—overexpression of a subunit of a protein termed Na/K-ATPase in AS model mice. In the Cell Reports study, the authors hypothesized that if they could decrease expression of this subunit, they could improve cognitive function of AS model mice. To do this, they ran different populations of mice through cognitive and memory tests—including a water maze to examine spatial memory and a fear conditioning paradigm to examine associative memory. 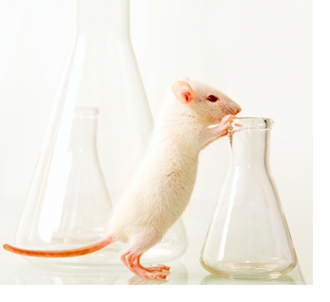 They examined behaviors of the following types of mice: normal mice, AS model mice, mice that had reduced levels of the Na/K-ATPase, and AS model mice in which expression of the subunit of Na/K-ATPase was reduced. In the water maze test, the mice needed to elevate themselves onto a platform in a specific location to get out of the water. The AS mice took longer to learn this task, but AS mice with reduced levels of the Na/K-ATPase subunit learned the task as fast as normal mice. In the second test, the researchers removed the maze's platform and measured how long the mice searched for the platform in this part of the maze in order to measure their memory of the platform location. The normal mice and the AS model mice with diminished expression of the Na/K-ATPase subunit searched the correct area of the maze in the same amount of time. However, other AS model mice had no memory of the platform location. In a second experiment, the researchers placed the mice in a staging area where they received a mild electric foot shock. Later, they were returned to the same staging area—a process that tested whether or not they could recall being at this location. Scientists typically measure recall in this commonly used experiment by gauging "freezing behavior"—that is, freezing when returned to an area in which they'd previously received a foot shock. Here, the results were consistent with the maze findings—the normal mice and the AS model mice with diminished expression of the Na/K-ATPase subunit exhibited freezing behavior upon the return to the staging area where they'd earlier received the foot shock, demonstrating the ability to recall a previous incident. However, other AS model mice were significantly less likely to show this behavior, revealing a diminished ability to recall a previous incident. “Genetic Reduction of the α1 Subunit of Na/K-ATPase Corrects Multiple Hippocampal Phenotypes in Angelman Syndrome,” Hanoch Kaphzan, Shelly A. Buffington, Akila B. Ramaraj, Jerry B. Lingrel, Matthew N. Rasband, Emanuela Santini, Eric Klann. Cell Reports, Vol. 4, Issue 3, p. 405–412. Published online: August 1, 2013. Press materials provided by New York University.